If you don't have 11 energy,lose 1 energy . Flip a coin. 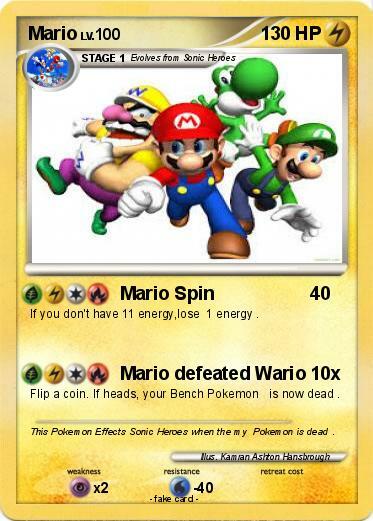 If heads, your Bench Pokemon is now dead . Comments : This Pokemon Effects Sonic Heroes when the my Pokemon is dead .